Have you ever wondered how does it feel to be a royalty? 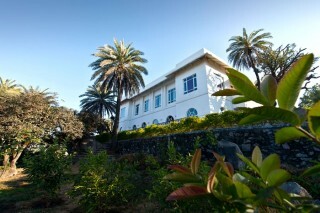 This opulent property, residence of a royal family, can make you experience it for a few days. 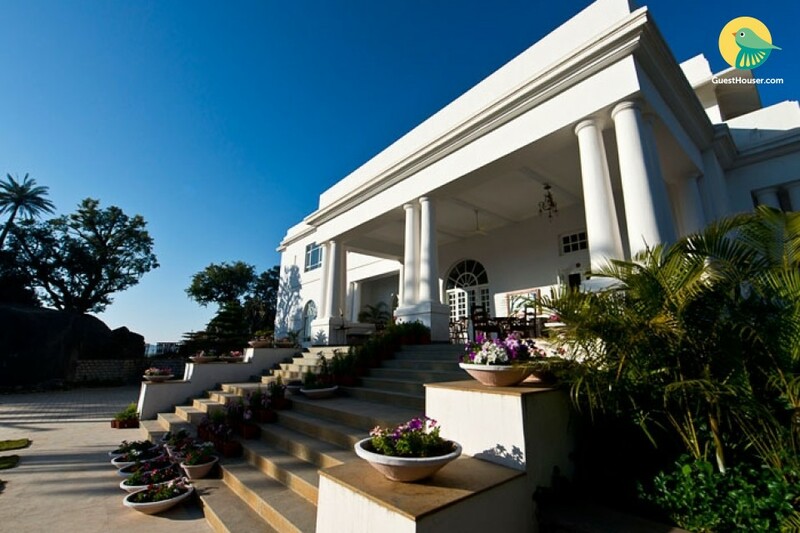 Just 2 kms away from iconic Dilwara Temples, the property is located on a hill and is surrounded by large natural rocks, trees, and three and a half acres of terraced lawns. A set of stairs lined with potted plants leads you to a porch with thick columns giving it a grand look. 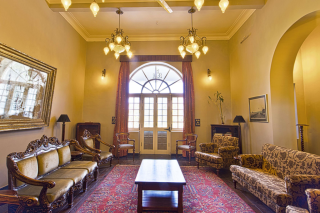 The entire property has tasteful interiors with rich furniture and ornate carpets adding to its beauty. You get a spacious room that houses a carved bed, plush seating and generous windows to allow you admire the outdoors uninterrupted. The washroom too is tastefully done and a perfect mix of old and new. 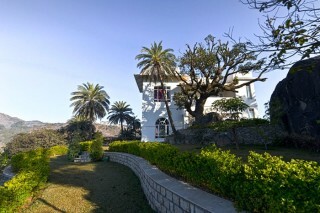 It is well-fitted with modern fittings and has vintage furniture to cover your storage needs. 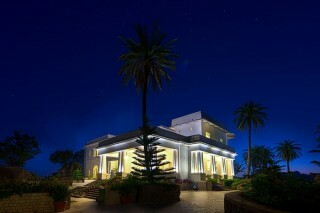 Head to the terrace for some scenic views of Aravallis and have a drink or two. Or take a stroll in the well-tended lawn and relax. Pick this stay and get to live life king-size! All bedrooms are large and luxurious and have spacious bathrooms. 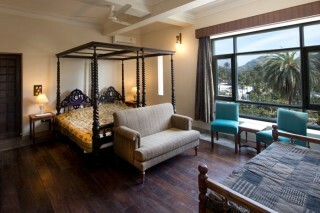 The bedrooms are air-conditioned and tastefully and lavishly furnished. Some rooms have a private terrace sit-out. Meals are served in the Dining Room. 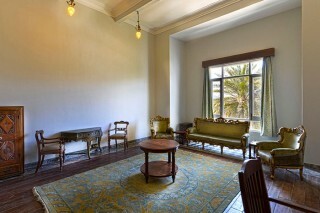 This area is augmented by the Lounge and other public areas where snacks and beverages are served by attentive staff. The pictures do no justice to the place, It was pure magic!